What if I can achieve more than I dream? What if I can do more than I believe? What if I am better than I think? What if I aim too low? And what if I only ever achieve what I aim for? What if the world never sees what I really can do? What if I never see it, either? 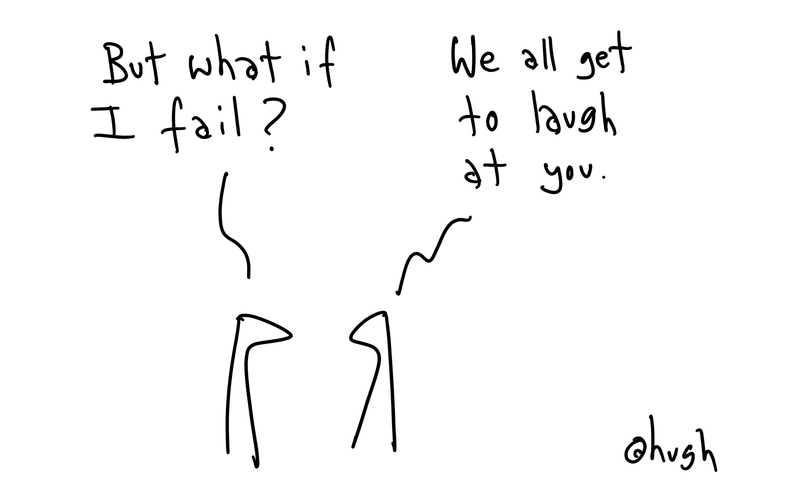 What if my ideas never leave my head for fear of failure? What If my biggest hurdle to jump over is me? What if I never fly because I don’t believe in my wings? Before you can change the world, you have to change your own. It will happen some day. It is inevitable. In the near future, someone will decide to record every moment of a human life from birth to death in digital storage. This will be more than an extreme reality TV stunt. It will mark the era of personal memory offloading, an adaptive memory technology that records and indexes every single moment of your life. Offloading personal memory begins with a personal memory device, or a PMD. The basic PMD would be no more complex than a small video and sound recorder that captures your every experience. A PMD could be easily fitted shortly after birth; the least invasive option would be like a Bluetooth headset worn over the ear connected wirelessly to a local device no larger than a cell phone. Once installed, the PMD would capture and upload all first-person memories to a centralized database for indexing, search, and recall. Data captured by the PMD would be linked over the internet into distributed software services like GPS, Google Maps, facial recognition, speech/text recognition, brainwave analysis and so on. It would create an ongoing record of the people, terrain, and objects in your vicinity. Contextual memory stored in the PMD’s back-end database would be total, like tracking your avatar moving through the World of Warcraft or Second Life, except plotting actual data from real life in real time. Whatever you do will be captured by the PMD for later playback and recall. Your PMD will remember every place you visit, every person you meet, every conversation you have, every object you look at, every movie you watch, every meal you eat, every page you read, every email you write, everything. Brain on motherboardExternal data is easy to record and index, but internal memory such as feelings, thoughts, ideas, and dreams present some engineering challenges. The PMD could be fitted with an invasive brain implant to extend functionality, but to keep things simple, let’s consider some cheap, non-invasive solutions. Biometric data such as temperature, galvanic skin response, brainwave activity, pulse, respiration rates, and perspiration levels can monitor mood, arousal, activity levels, and so on. This biometric data, no matter how spotty, can be used to generate a dynamic emotional profile for any individual as they move through their day. Speech and behavioral analysis can also track levels of focus and activity to indicate mood and engagement in reality. Facial gestures and voice pitch can be tracked to sense subtle emotional reactions to stimulus. There could be a service that monitors your diet and daily routines to see if you are acting in healthy or unhealthy ways. If environmental data capture is complete, filling in emotional data from biometric analysis would be a simple software task. Brain resoucesThe PMD sounds like science fiction, but the technology for creating it exists today. It could be an iPhone app. The engineering hurdles would be the physical disk space and CPU cycles needed for daily storage, compression, and indexing of video and audio data for every person with a PMD. Let’s assume storage and CPU cycles are solvable problems and that indexing and compression of video and speech data will only get better and faster over time. So pretty soon, for a moderate monthly fee, you could get a PMD system bundled with your cable, cell-phone, or internet bill. With a pocket or desktop unit, your daily memory will be locally stored and indexed. The relevant data points would then be uploaded to a central server for global storage and cross-indexing with other personal memories and digital records over the course of your lifetime. Like a Tivo, your PMD would be able to predict which memories you want to save, which memories your friends and family will like, and which memories are private, redundant, or expendable. It would be easy to customize these features for each individual, making indexing personal memory an intuitive task that would involve automatically setting user preferences based on daily routines; mirroring actual learning and memory networking in the brain. Engineering a PMD is a relatively simple challenge, but the ramifications of such a device go far beyond personal memory storage. If a smart device is tracking and indexing your personal memory, every aspect of your life can then be recreated in virtual space and reviewed from any angle. Each night, our personal memory would be indexed and compressed while we slept. This would be a sort of “digital dreaming” — our digital dreams would naturally grow over time to mirror our personal dreams. Your digital memories and preference files from any period in your life could be assembled to create a virtual avatar that looked, talked, and behaved just like you. You could have a digital ghost that acts out probable behaviors in hypothetical scenarios, like a dream projecting itself into a videogame future. This digital version of you would exist long after your physical body was gone. People in the future would be able to log on and meet you, relive your memories, or place your avatar into a virtual simulation. It is not immortality, but it beats a MySpace page by a long shot. Will it warn you when you are about to walk away and leave your hat and sunglasses on the bench behind you? Totally. Most interestingly, the PMD can be used a social memory or cloud memory device. If you select the social memory networking option, then your public memories can be shared with anyone who shares overlapping memories with you, making shared social memory (the collective consciousness) an instantly accessible reality. This raises some privacy issues, but cell phones already track our location and capture audio and video; capturing every moment of environmental data for cloud-memory rendering is merely the logical endpoint of this technology. You could jump in on a friend’s memory stream and share their experiences over the internet; you could watch a rock concert through the eyes of the guitarist, lead singer, or anyone in the crowd. Then you could replay that concert over and over from different angles. With environmental data capture from multiple PMDs, recreating any event in virtual space becomes a matter of video crunching and graphics rendering. Rendered PMD cloud data could recreate crime scenes or accidents for review in court; create virtual classrooms and training centers; or make vacation memories available to friends on Facebook. You would never again have to ask, “Remember that time…?” All you would have to do is send a link to their PMD. They will remember.